I have naturally pin-straight hair, which gets progressively flatter throughout the day. Humidity, for example, has the opposite effect on me. Instead of getting fluffier, my summer hair tends to resemble that of a wet dog. It's super cute, believe me. I've thankfully found an incredibly simple, under 10 minute solution to help avoid the dreaded flatness. Enter: dollar store sleep-in foam rollers. I use about 10, which cost maybe $3 in total, and they are entirely reusable. I also don't need to blow dry my hair or add any pre-styling product to keep the curl for up to 2 days. The only product required is some L'Oreal Elnett Hairspray which I apply once the rollers are removed in the morning. Read on to see how I get this fool-proof, sleep-in style. I typically let my hair air dry to the point where the roots are just damp. The more wet your hair, the tighter the curls. I've been so surprised at how comfortable these rollers are to sleep in, because both the plastic clips and foam bits are quite flexible. The clips hold strong and I never get very visible lines or kinks. I believe this is the result of twisting the sections of hair before rolling from root to tip, which you can see in the images above. The process is so simple, you just need to experiment with your own head of hair since layers and hair thickness will have an effect. I have no real system except that I always roll the top section in a stegosaurus type fashion to eliminate flatness. If you try and roll the hair up around the foam from the ends to roots, the curls will come out way too tight and the clip lines will definitely show. I love how natural my curls look when I use this twist-wrap-clip method since they are all slightly uneven, unlike with a curling iron. My bob cut is pretty much impossible to self-curl with a hot tool since the back pieces are too short to maneuver around without getting severe burns. 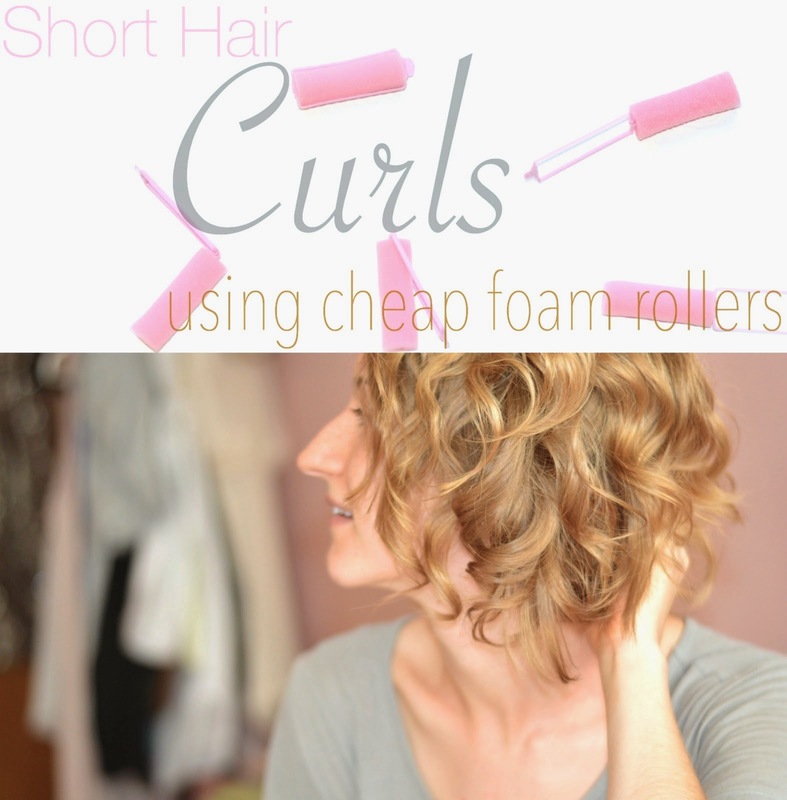 I'm sure longer haired gals would be able to customize this curling method also, with the use of larger rollers and smaller sections of hair. Nice Post! 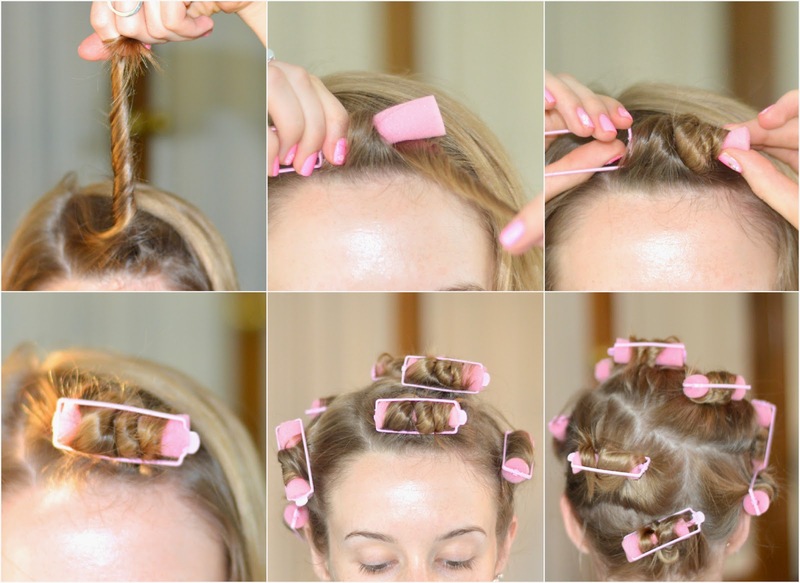 The Hair is looking so beautiful with hair rollers. This blog is a best for getting to knowledge about hair care. I found this post to be very interesting and helpful. I will have to recommend you to my friends.